Welcome | Balance Yoga Center . Learn About Our Yoga Fair Here! Download The MindBody App Here! 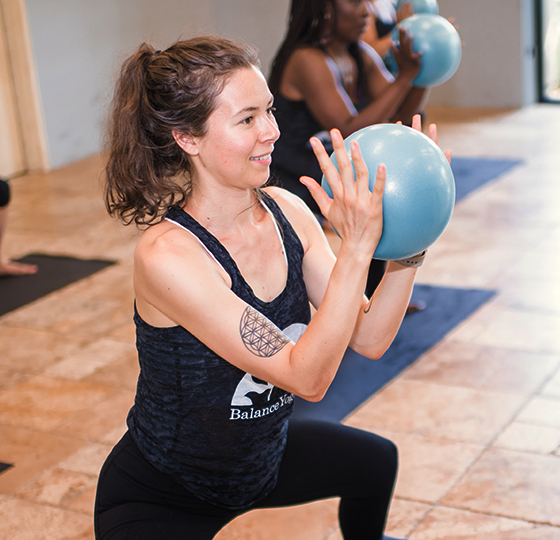 At Balance Yoga, we proudly provide fun and challenging yoga classes with a fitness spin. You’ll love our Hot Yoga, Hot Pilates, and Yoga Strength classes (as well as all of our other offerings) for their fun and exhilarating environments, as well as their ability to give you an awesome workout. We’re here to make sure you get an effective workout every time you visit and that, more importantly, you enjoy yourself and learn to love the way your body can move. We’ve been providing yoga classes in our area for a long time now, and over that time, we’ve learned exactly what it takes to make sure the people who come to us get a stellar workout and really push to be the best they can be through yoga. We offer a wide variety of classes, so we are sure to have one for you. Get in touch with us today to find out more about our class offerings or to really sign up. We look forward to hearing from you soon. If you have never exercised in the heat, you might be apprehensive. Why the heat? How hot is it? What will happen to me? Will I pass out? Can I leave the room? Should I eat before class? The heat will warm your body and you will simply move better. You will gain more mobility with very few warm up exercises. Your heart rate will elevate increasing the cardiovascular benefits. You will sweat ... a lot. The rooms have industrial strength humidifiers. The humid air is amazing for your lungs. The humid air will also help promote sweating. We’ve heard, "I’ve never sweat so much in my life," countless times. Be sure to bring a towel to soak it all up.